Opti-Nutra has made another top-notch supplement in the form of the training enhancer Performance Lab® SPORT Pre-Workout. An all clean and premium product, it promises to boost muscle growth, enhance endurance, hone focus and energy, increase strength and improve performance. More than that, it does all of the above without caffeine or a stimulant of any kind. One of the key reasons that it topped our list of Best Pre-Workout Supplements to Buy 2018. Before we look at the supplement in depth, Performance Lab® SPORT Pre-Workout deserves praise for its high standards and clean ingredients. How many other pre-workouts on the market can claim to be vegan, non-GMO, gluten and soy-free, with no stimulants, synthetic ingredients or artificial additives? Not many, in case you were wondering. 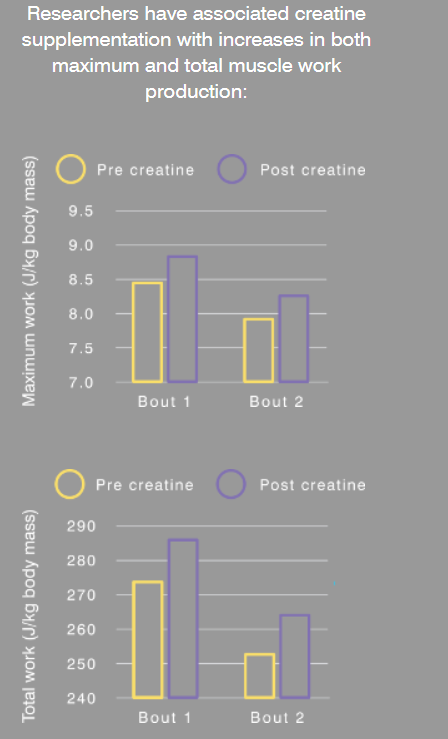 There’s not much point in having a pre-workout supplement without creatine, one of the most effective ingredients you can get to boost performance. The Creapure® pH10 in Performance Lab® SPORT Pre-Workout is one of the best forms there is: 99.5% pure creatine monohydrate balanced to reduce the bloating that supplementation with cheap creatine can bring. Creatine provides fuel for the muscles, helping to recharge the body’s ATP, the energy needed to power muscle contractions. High intensity training depletes ATP like crazy, so supplementation is crucial. Such supplementation can add noticeable power and strength to a routine, proven in a research setting. As well as helping to recharge ATP, creatine helps to delay lactic acid build-up, helping you to train for longer before muscle failure. It also continues working after your workout by raising levels of growth factor IGF-1, helping to stimulate protein synthesis and boost muscle development. L-citrulline is a popular choice in pre-workout supplements for a good reason – its ability to raise L-arginine levels improves blood flow to the muscles considerably, boosting performance and muscle pumps. L-citrulline can supercharge your workouts in other ways as well, such as by optimising ATP and blocking ammonia from accumulating in the muscles, allowing you to train for longer. Its role in protein synthesis also helps to reduce muscle soreness. Note that L-citrulline is potentially twice as potent at raising L-arginine levels than supplementation by L-arginine directly. 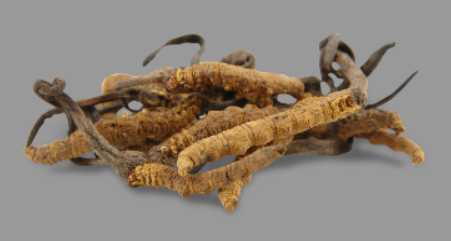 Cordyceps is a natural fungus with a reputation as a performance enhancer. While there is little human research available on it so far, emerging research suggests it may work in synergy with L-citrulline and may boost the production of ATP energy. It should be noted that research on Cordyceps so far has used significant higher dosages than included in Performance Lab® Sport Pre-Workout. So far it seems to demonstrate an ability to help the body fight fatigue and exhaustion during exercise. As such, it can help with both cardiovascular exercise and strength training. L-glutamine is the most abundant amino acid in the body, primarily found in the muscles. It is the key carrier of nitrogen, which is needed for muscle repair and growth. As such, L-glutamine helps to regulate the growth of lean muscle mass, muscle power and energy as well as their repair and growth. L-glutamine also helps to counter lactic acid, delaying the onset of fatigue, often a problem with endurance exercise. The L-glutamine in Performance Lab® SPORT Pre-Workout also bumps the production of growth hormone. The more intensely you train, the more L-glutamine you deplete from the muscles, hence its popularity in pre-workout supplements. Consider L-carnosine as a protector or bodyguard for your muscles, the fast-twitch muscle fibres in particular, such as those used by athletes and bodybuilders using short bursts of muscle power. L-carnosine provides antioxidants to reduce cell damage caused by free radicals during and after high-energy anaerobic training, particularly useful for sprinters, bodybuilders and rowers. It also fights AGEs (advanced glycation end-products) that can damage the muscle tissues as you exercise, and limit acid build-up. All of which can limit gains during your training. Supplementation during training helps you to have greater power. Salt is an important workout requirement because it helps to restore electrolytes and maintain hydration throughout the muscles and body. It can also boost the absorption of the L-citrulline, L-carnosine and L-glutamine in Performance Lab® SPORT Pre-Workout, demonstrating what a clever formula this is. Himalayan Pink Salt in particular is unprocessed and natural with 84 minerals and trace elements, including potassium, magnesium and calcium, all if which can help intense training. Maritime Pine bark extract is an interesting addition to Performance Lab® SPORT Pre-Workout mostly because it’s usually used for other health benefits. Opti-Nutra’s formula, however, uses it for its antioxidant provision to soothe aches, pains and protect muscles, as well as its nitric oxide-boosting effects, which help to maintain optimum blood flow to the muscles. It’s an intriguing ingredient. The 95% proanthocyanidins in Performance Lab® SPORT Pre-Workout’s is the strongest potency you can buy. Performance Lab® SPORT Pre-Workout can help with all kinds of workouts, from lifting (giving strength and power) to cardiovascular (boosting endurance and increasing workout time). Also includes ingredients to support muscle health. Does not contain any caffeine or any other stimulants. Formula is cleverly designed to work synergistically together. 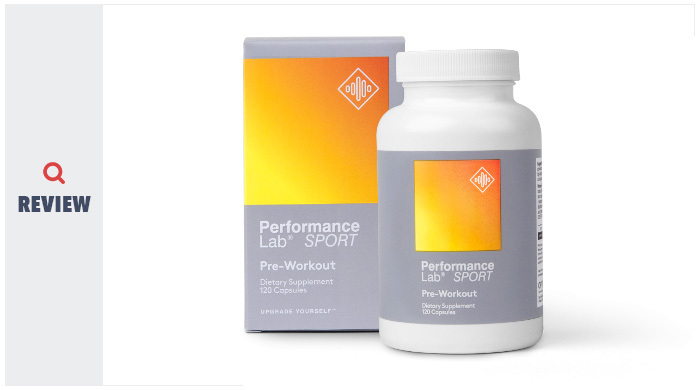 Performance Lab® SPORT Pre-Workout uses premium and enhanced forms of its ingredients. Suitable for vegans, clean and natural product without any artificial additives. Non-GMO, soy-free, no allergens or additives. International shipping and 30-day money-back guarantee. Performance Lab® SPORT Pre-Workout is only available from the official website, meaning you won’t find it at Amazon or any health food shop. Performance Lab® SPORT Pre-Workout is unusual for a pre-workout supplement in that it comes in capsule form rather than powder. This may be unpopular with some users. This product is very new so there are few customer reviews available. 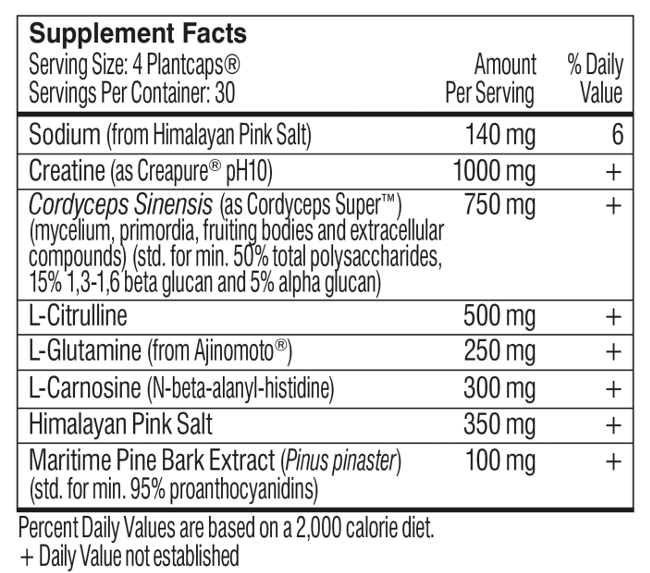 Some of the individual ingredients in Performance Lab® SPORT Pre-Workout could potentially have side-effects if they were delivered in much higher dosages than are included here. As it stands, however, the dosages included, while adequate for its purposes, should not make you sick to your stomach. We’re pretty confident that the majority of people will not suffer any side-effects when taking the balanced Performance Lab® SPORT Pre-Workout. It clean and natural ingredients and lack of stimulants, additives and synthetics also reduce the chances of any reactions. Performance Lab® SPORT Pre-Workout should ideally be taken 45 minutes to an hour before a workout. There is no need to cycle it. Performance Lab® SPORT Pre-Workout is a great choice for athletes wanting to improve cardiovascular endurance and performance, as well as bodybuilders aiming to build mass from heavy lifting. Its biggest performance impact seems to be on high-intensity and short-duration training, but it is suitable for everyone. Simply put, it will probably attract anyone keen on a clean lifestyle who wants to avoid the glut of artificial additives and synthetic ingredients found in many pre-workouts on the market today. Performance Lab® SPORT Pre-Workout uses a few key nutrients in optimum form and manages to significantly boost both aerobic and anaerobic exercise, alongside healthy muscle growth. At the end of the day, it delivers on its promise as a pre-workout: it helps you to achieve maximum gains. So yes, in a nutshell, it works. And it works very well. We love that there’s now an effective pre-workout that doesn’t need caffeine or stimulants to do its job. Performance Lab® SPORT Pre-Workout is a genuinely clean and natural supplement. Its clever formula works together to boost creatine synthesis and provision, supplying the muscles with plenty of fuel to support and boost your workout. The formula in Performance Lab® SPORT Pre-Workout offers a balanced pre-workout supplement, with ingredients to support muscle health alongside performance boosters. Opti-Nutra’s commitment to premium forms of ingredients, including highly bioavailable creatine sources, means it doesn’t need quite as high dosages as other pre-workouts to be as effective. Performance Lab® SPORT Pre-Workout is a great option if you want a natural workout boost before intense training without wanting to resort to stimulants.